An enigmatic landscape, where architecture emerges as a zoomorphic imaginary loaded with primitive natural cycles. 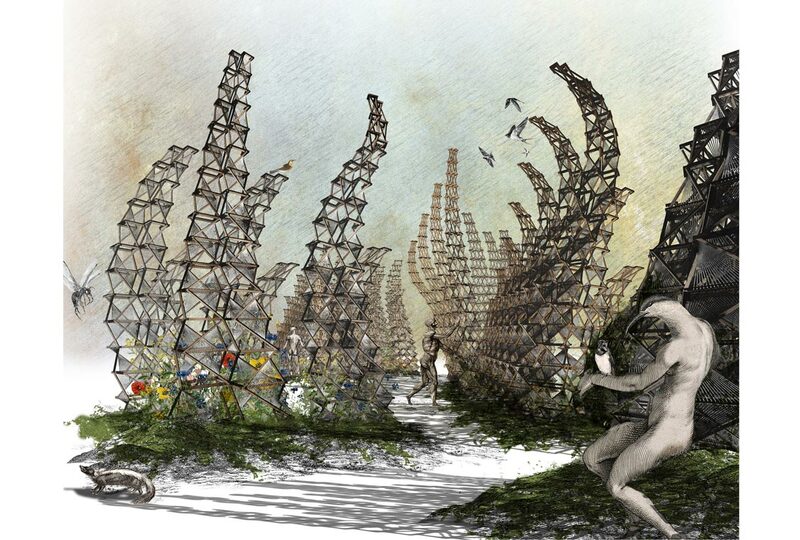 Paleo Garden, was a competition entry for the 2017 Tallinn Biennale. A large skelettal assembly for urban ecosystemic production. Spine like columns, growing from the ground resembling archaic and enigmatic creatures outlined against the sky. Design team: Jorge Godoy, Lene Nettelbeck, Victoria Mohr, Judith Tremblay, Gonzalo Vegas, Ricardo Vivanco, Cecile Gauquelin.